The aim of Project Coast was to covertly research and develop technology in the sensitive areas of chemical and biological warfare. In order to achieve this aim, the South African government recruited Wouter Basson, a man who has since earned the nickname “Dr Death” due to his involvement in Project Coast. In 1981, Basson embarked on a fact finding mission and travelled abroad to secretly collect information about the Chemical and Biological Weapons programs of various Western nations. Basson used what he found during these trips to develop a blueprint for the Apartheid Government’s Chemical and Biological Warefare program. The majority of details about Basson’s involvement in Project Coast only came to light during his criminal trial, which began in 1997 after Basson refused amnesty from the Truth and Reconciliation Commission. During his criminal trial, Basson faced a range of charges, including the accusation of taking part in over 200 murders and drug trafficking. Theron, then a soldier in the South African Defense Force, was ordered by Basson to chain three black ANC anti-apartheid activists to some trees in a secluded forest and cover their bodies with a toxic chemical jelly to see if the jelly would kill them. When the jelly did not kill the three men, Basson allegedly ordered Theron and another soldier to inject the three men with a deadly muscle relaxant. The injection caused their lungs to collapse. They died slowly of suffocation, and later their bodies were loaded onto an airplane and dumped into the icy ocean off Namibia’s Skeleton Coast. Basson has also been linked to a number of bizarre experiments. 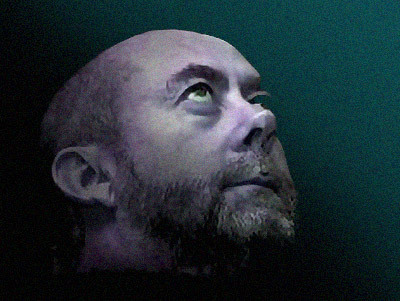 According to the Mail and Guardian, Basson attempted to develop a genetically sensitive compound that would only affect Africans – a so called “black bomb”. According to other reports, Basson researched a race-specific bacterial weapon; a project to find ways to sterilize the country’s black population and deliberately planned to spread cholera through South Africa’s water supplies. Basson’s regularly worked with a number of other biological agents and viruses including anthrax, cholera, salmonella, botulinum, thallium, E. coli, ricin, organophosphates, necrotizing fasciitis, hepatitis A, and HIV., as well as nerve gases (Sarin, VX) and the Ebola, Marburg, and Rift Valley hemorrhagic-fever viruses. These were used to produce crude toxins for use by the military and police as biological weapons. There were reports that Basson was experimenting with chemicals to alter members of the population. But from the limited amount of information available from these reports, it is not clear what this means exactly. The full extent of Basson’s Project Coast experiments were never made public, leaving South Africa to only guess about the true extent of the atrocities committed by the man we now call Dr Death.